What is a Red Blood Cell? Men have more red blood cells in their bodies than women. 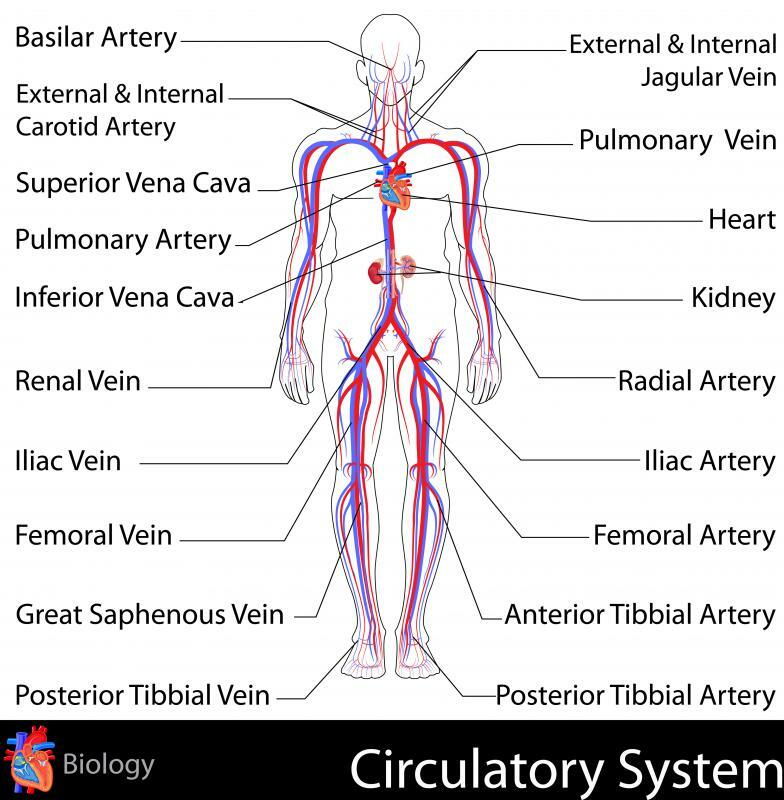 A red blood cell carries oxygen throughout the circulatory system. 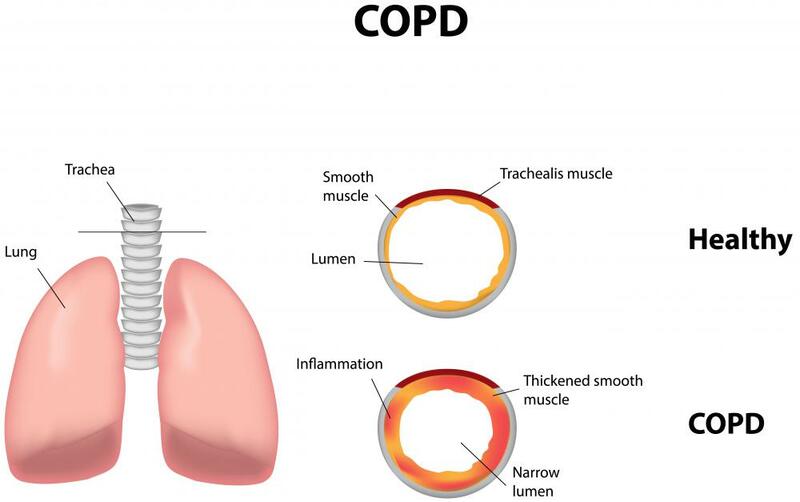 COPD can cause a high red blood cell count. 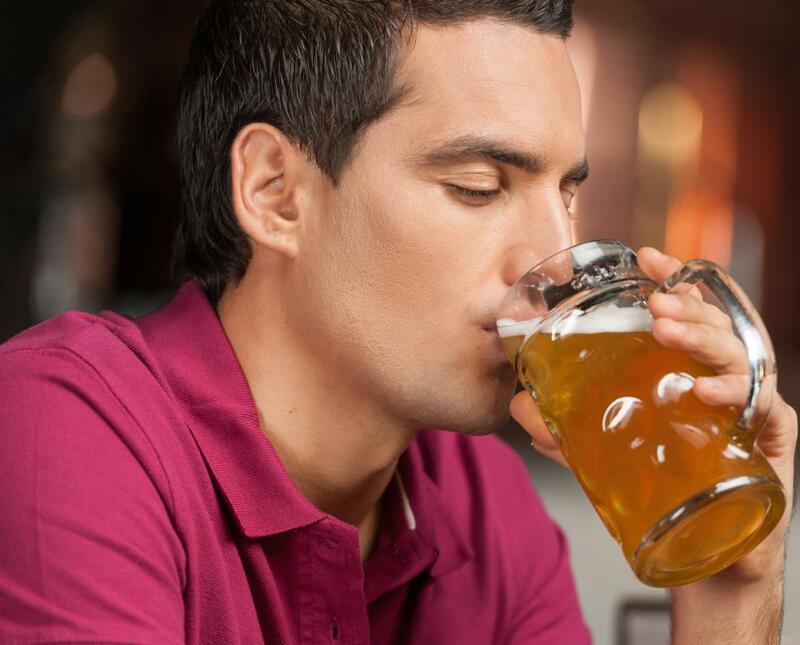 Heavy alcohol drinking may cause abnormally low red blood cell levels. A red blood cell, or erythrocyte, is the most common type of cell in blood. It carries oxygen throughout the circulatory system, from the lungs to the rest of the body, and brings carbon dioxide waste back the other way. All of the body's tissues are dependent upon oxygen from these cells — if the flow is cut off, the tissue dies. There are several medical conditions associated with red blood cells specifically, including sickle-cell anemia, thalassemia, and spherocytosis, but changes in the amount of these cells can also be a sign of other disorders. Red blood cells have a diameter of about 6 to 8 micrometers (millionths of a meter), which is similar in size to most cells in the body. They are round and red, with a depression in the center. Adult humans have 20 to 30 trillion of these cells in their bodies, with men having more on average than women, and each one lives for about 120 days before being broken down. They are very flexible, which is important for their functioning, since they often have to squeeze through small openings. The main purpose of red blood cells is to transport oxygen and carbon dioxide through the circulatory system. The reason they can do this is that they contain an iron-containing protein called hemoglobin, which binds to oxygen. When the oxygen and the hemoglobin combine, they cause the cells to become bright red. This is why blood looks red when it goes outside of the body as well — when exposed to the open through a cut, the cells become exposed to a lot of atmospheric oxygen. Once all the oxygen connected to the cells is used up, then they collect carbon dioxide and other waste gases from the body and bring it back to the lungs, where they swap it for oxygen and start the cycle again. 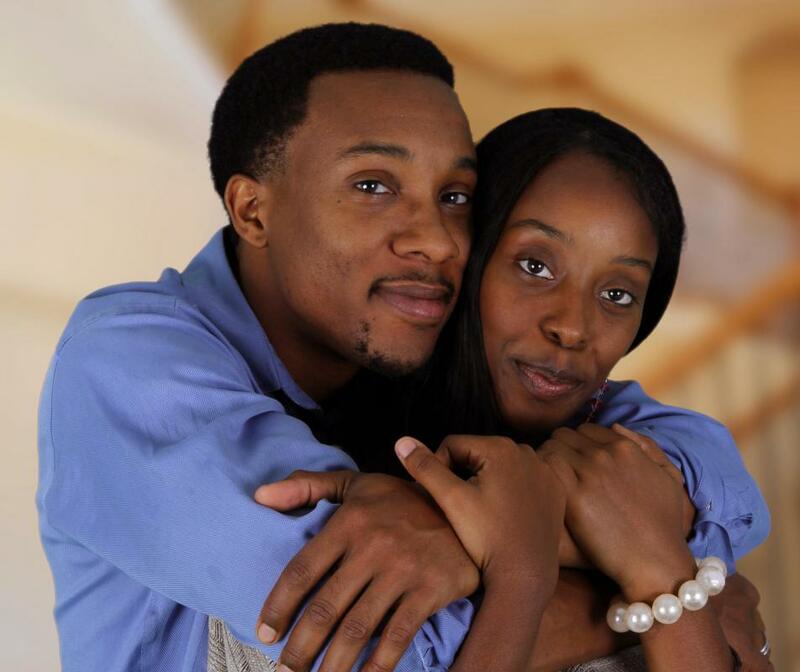 There are a variety of medical disorders associated with red blood cells, with one of the most common being sickle-cell disease. This is a genetic disorder that causes the cells to become stiff and sickle-shaped. This makes them unable to move properly throughout the circulatory system, and can lead to a variety of problems, including strokes, blindness, and chronic pain. Spherocytosis is another genetic condition that changes the shape of cells and makes them brittle, but unlike sickle-cell disease, it makes them spherical. Several other conditions cause red blood cell abnormalities by disrupting the proper production of hemoglobin. This includes thalassemia, a genetic disorder that causes abnormal hemoglobin molecules, and pernicious anemia, in which the body doesn't absorb enough B12, which is needed for making hemoglobin. 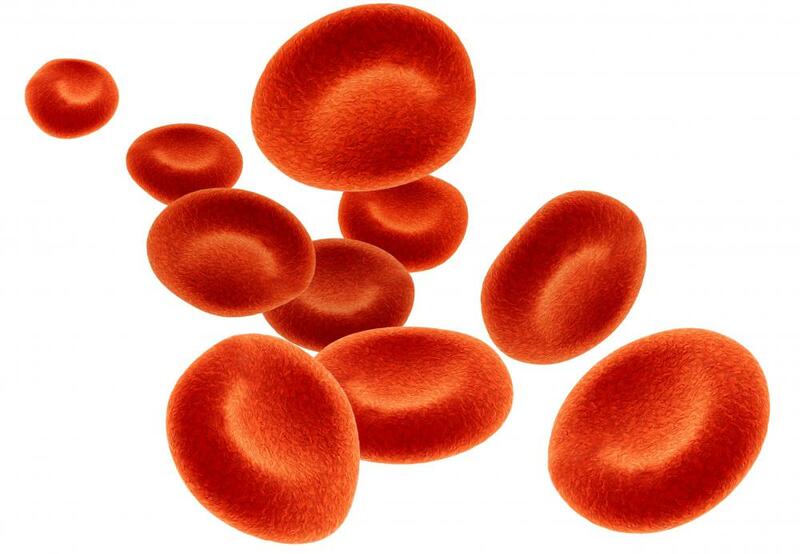 Additionally, conditions like G6PD deficiency, hemolytic disease of the fetus and newborn, and aplastic anemia can cause problems with the creation and life of red blood cells. Besides conditions that affect the cells themselves, having an increase or decrease in the number of red blood cells in the body can be a symptom of several conditions. A high red blood cell count, also called polycythemia, can be caused by poor circulation to the kidneys, genetic heart problems, Chronic Obstructive Pulmonary Disease (COPD), and pulmonary fibrosis. Some people are also born with genetic variants that cause them to have higher than normal red blood cell counts. A lower than normal count can be a sign of poor nutrition, problems with bone marrow, and leukemia, among other things. How Fast Do Red Blood Cells Move? What Are the Different Types of Human Blood Cells? What Is a Heinz Body? What Causes Small Red Blood Cells? What is the Relationship Between Platelets and Red Blood Cells? Blood cells can stay alive for about 120 days. Why doesn't a red blood cell have a nucleus? @anon161060: It is (almost) only mammalian RBCs that lack nuclei, and these only lack nuclei as mature RBCs. As a red blood cell matures it expels its nucleus from its body, making room for more hemoglobin. RBC don't have a nucleus. Why are they called cells? @ chicada- There are three main concerns with having to many red blood cells. The first concern is that the blood becomes thicker, making the heart work harder to pump it through your veins. Second, thicker blood is less likely to reach the smaller capillaries in the body. Lastly, blood with a high red cell count is more likely to form clots, which can be very dangerous if they form in major arteries or in the brain. @ Chicada- Your bone marrow produces your red blood cells. In some cases bone marrow will produce too many red blood cells, other times red blood cell count may be high because of overproduction of proteins in the liver. Poor lung and heart function can also be a reason for the increase in your red blood cell count. Sometimes there are less serious reasons for having a high red blood cell count. Living at high altitudes can lead to a higher blood cell count. This is because the function of red blood cells is to deliver oxygen, and there is less oxygen in the air at high elevation. If you donate plasma, you will also have a high red blood cell count relative to your blood volume. What causes a high red blood cell count? What are the consequences of having too many red blood cells?